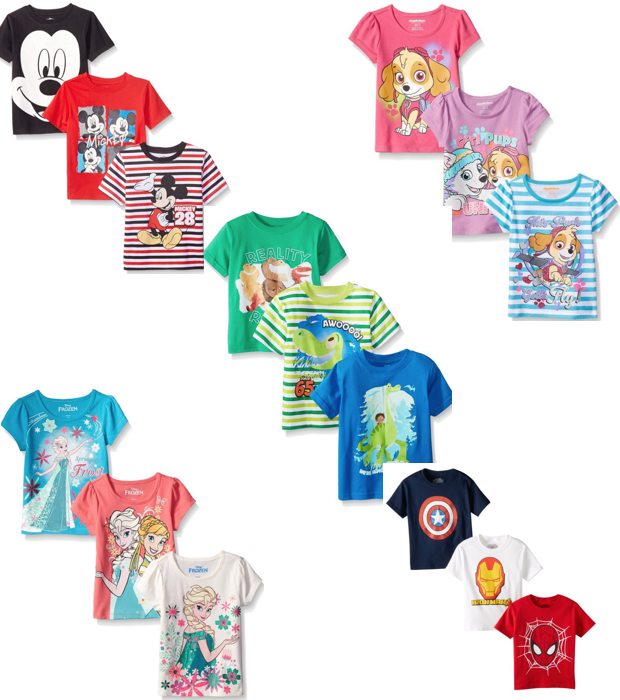 Kids Character Tees 3 Pk Only $17.99! You are here: Home / Great Deals / Amazon Deals / Kids Character Tees 3 Pk Only $17.99! Minnie, Mickey, Curious George, Cars, Hello Kitty, Star Wars and more! 20 different sets to choose from! Get yours now!